Nottingham Law School will be offering a number of competitive scholarships up to the value of £3,000 for International students who have been made an offer to study on the full-time Oil, Gas and Mining Law LLM which starts in September 2014. Please check the details of this scheme and eligible courses on our website at www.ntu.ac.uk/scholarshipnls. Please complete all sections of the scholarship application form and send the required documents before the deadline. These scholarships will be awarded to those candidates who most closely meet the criteria for the award which are provided below. The scholarship decision will be made by an awarding committee and all decisions of that awarding committee are final. The scholarship will be available in the form of a tuition fee reduction and if you are awarded a scholarship your fee will be adjusted before enrolment. Applications must consist of a fully completed scholarship application form, which includes a statement of a maximum of 750 words which directly addresses both criteria set out below. You must also submit evidence to prove that you have achieved a 2.1 or above (or equivalent) in your undergraduate degree. This may be in the form of a degree certificate or official university transcript. The awarding committee reserve the right to exclude from consideration any applications that include written statements which exceed the stated word limit or are incomplete. Please return your completed scholarship application form and supporting documents to nls.enquiries@ntu.ac.uk as soon as possible. Scholarship application deadlines: 4 pm GMT on 30 June 2014. Scholarship applications received before 4 pm GMT on 30 June will be assessed and successful applicants will be notified of their scholarship award by 21 July 2014. Applications received after this date will not be considered. Applicants are only eligible for consideration of a scholarship award if they have been offered a place on the full-time Oil, Gas and Mining Law LLM. Please Note: NTIC progression students are not eligible to apply for a scholarship. Please check our website for details of funding for NTIC students at www.ntu.ac.uk/ntic. This scholarship is only available to International Students. UK and EU students may be eligible to apply to the Nottingham Law School Masters Scholarship Scheme. Please visit www.ntu.ac.uk/scholarshipsnls for further information. Students who are sponsored by their employers (full / part) are not eligible to apply for this scholarship award. The scholarship deadline is 4 pm GMT on 30 June 2014. Applications received after the deadline date will not be considered. Applicants will be informed of whether they have (or have not) been awarded a scholarship (with the value of the scholarship award if they have been awarded) within three weeks of the application deadline dates. For consideration of a scholarship award, applicants must have achieved an undergraduate degree equivalent to a UK undergraduate honours degree (minimum 2:1) and must provide a copy of their degree certificate or official university transcripts as evidence of this qualification. Scholarships of up to a maximum of £3,000 are available. The awarding committee may choose to award a part scholarship. The scholarship will be available in the form of a tuition fee reduction. If you are awarded a scholarship your fee will be adjusted before enrolment. If you are awarded any other scholarship, bursary and / or fee reduction from the University, the maximum amount awarded will not exceed more than £3,000. The scholarship is not transferable and will not be awarded if you choose to defer your entry to a different start date or if you choose to transfer to a different course at the University. The scholarship will only be awarded once an applicant accepts and meets the conditions of their offer and are eligible to enrol on the postgraduate course. Scholarships are competitive and selection is based on academic attainment and the outlined selection criteria. It is, therefore, of great importance that you submit your academic documents with your application, that you give your personal statement careful thought and preparation and you refer to the criteria provided. The University’s decision in all matters relating to the scholarship is final. If your scholarship application is successful, you may be asked to appear in online and / or printed University marketing materials. This may involve providing a student profile and a photograph which may be used to promote the University’s scholarship schemes and Oil, Gas and Mining Law LLM. For more information, please visit official website: www.ntu.ac.uk. 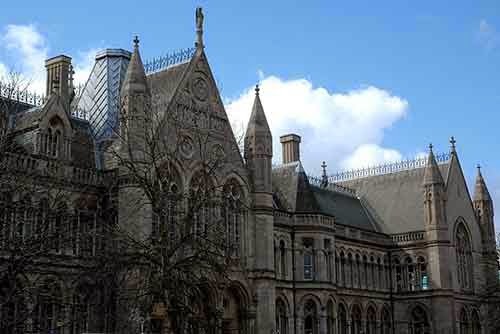 Demikianlah informasi mengenai Nottingham Law School Oil, Gas and Mining Law LLM Scholarship, UK semoga berguna bagi anda.